Hello everyone!! 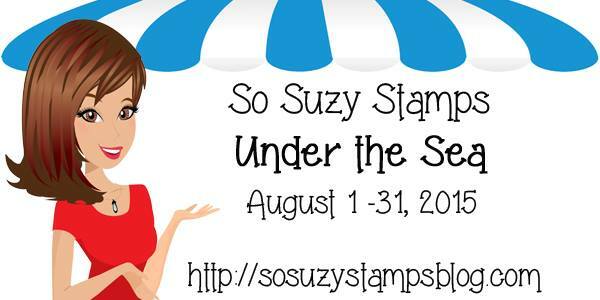 I’m here with So Suzy Stamps and our August Challenge!! Perfect for our new challenge this month which is Under the Sea!! 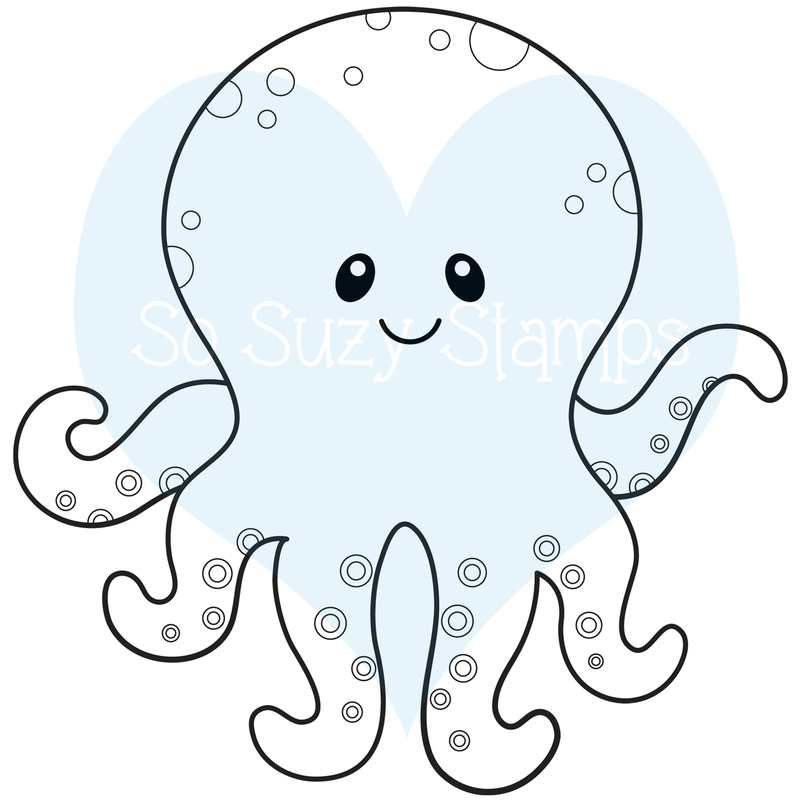 Isn’t that little octopus the cutest you’ve seen!! I must tell you I colored him a couple of times with different mediums until I settled on this guy. I colored him with my Copic Markers and Wink of Stella!! I fussy cut him out and adhered him to my cut out Stitched Party Banners from Lawn Fawn. I used all of the dies in that set to create my card. I added some orange bakers twine between the big banner and the small banner. To finish the card off, I added Your Next Stamp Crystal Clear Gumdrops. So what do you thing? Please let me know below!! Yup – he is super cute although Luis would want to eat him! LOL! Love the shading on him! So, So, SO STINKING CUTE!!! 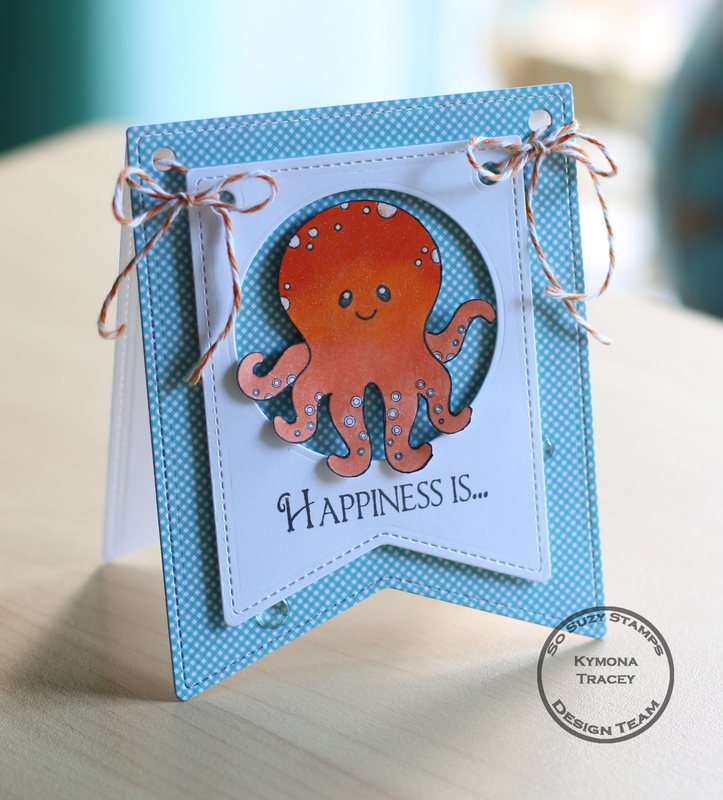 Love the cute, adorable octopus and how you colored him so perfectly!! Those fun dies that you used are awesome and this card just totally impressed me!! I am thinking of you and hoping you are doing well! !